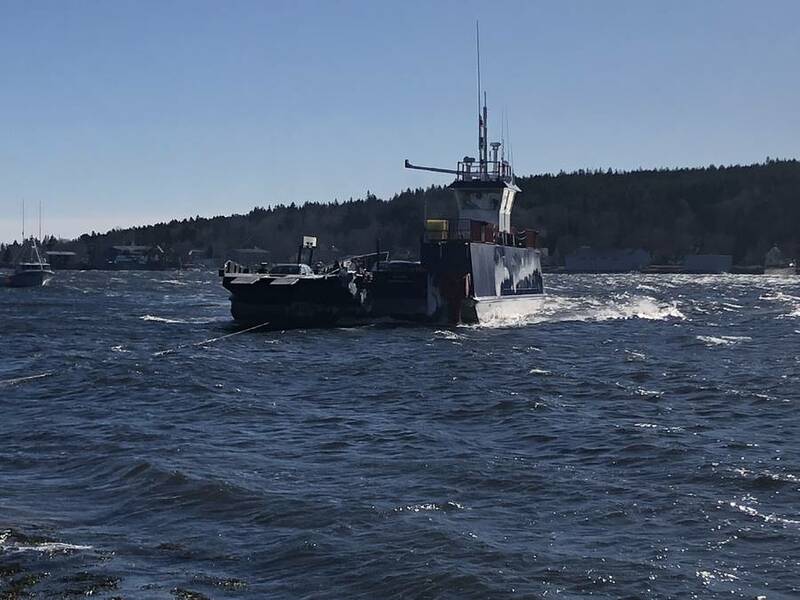 The LaHave Ferry spent the better part of February 11 roughly 200 metres from shore in the choppy waters of the river. Strong winds caused the bullwheel shaft, which propels the boat, to crack, leaving eight people stuck on the vessel from 8:30 a.m. to around 2 p.m.
Marla MacInnis told LighthouseNOW that they assembled a maintenance and operations crew to assist with the safe landing of the ferry, and a coast guard auxiliary vessel was on site to assist. MacInnis is the media relations advisor with Nova Scotia Transportation and Infrastructure Renewal.